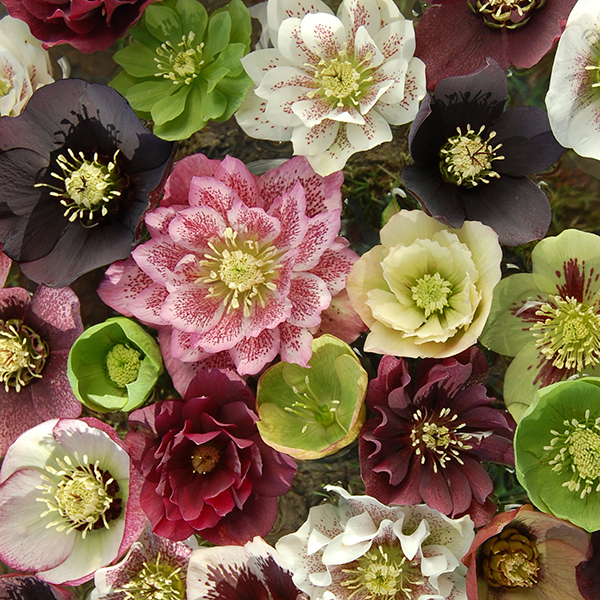 Our Hellebore 'Double Queens' Mix will compliment your garden! Adding delightful colour to your garden, these beautiful blooms are dainty to look at, but incredibly tough whatever the weather! 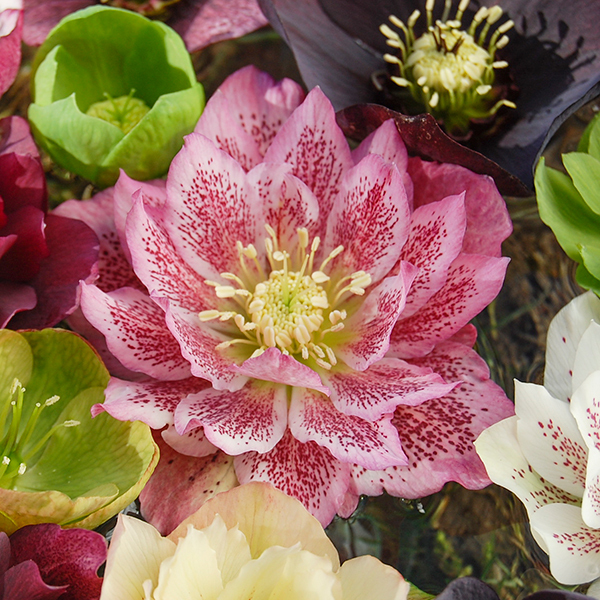 Each collection includes a mix of 6 double flowered 2 year old plants; you will get a stunning mix of colours, many with speckles and darker edges to their petals. 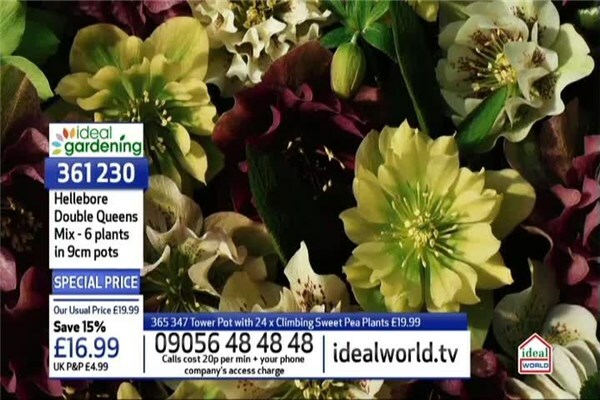 With flowers from February - April they are a must for every Spring garden! So easy to grow, they will slowly establish into small clumps, increasing in flower number year after year. They thrive on shade, and lower light spots, yet can be grown well in pots provided they do not dry out in Summer. Supplied as a pack of 6 x 9cm plants, being double ruffled flower types, all being unique colours as they are seed-raised and thus a random mix.